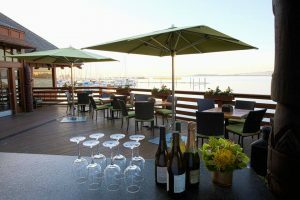 Contact the Banquet Department at (510)450-7182 or click here for Menus, Pricing, & Availability! We'll create the island ambiance for your special occasion! Click here to view our Private Dining Menu! Located along the Emeryville Marina, Trader Vic’s serves as your tropical getaway from life’s daily routine. Offering unique private dining spaces, gourmet menus, craft cocktails & tropical decor, we strive to make each event personal and memorable. Our professional staff will handle every detail and cater to all your needs. From wedding receptions to company conferences, let Trader Vic’s set the island ambiance for your next event! Our Banquet Sales Manager will work closely with you to create a customized menu, assist in wine and beverage selections, coordinate fresh flower arrangements, and can even help arrange live or recorded entertainment, and audio/visual equipment. Trader Vic’s, Home of Original Mai Tai ®, has been a bay area staple since 1934. With our new off-site catering options, we can bring the island tradition straight to you! Offering gourmet appetizer selections & unique bar packages, we strive to make each event personal and memorable. Our professional staff has impeccable attention to detail and will cater to all your needs. From family get-togethers to company cocktail parties, let Trader Vic’s bring the tropical vibes to your special occasion. Our Banquet Sales Manager will work closely with you to create a customized menu, assist in wine and beverage selections, & coordinate an unforgettable event! Click here to see the Grab & Go Menu! Trader Vic’s Emeryville offers 'Grab and Go' catered meals for 25+ guests! Tailored to make your picnic-lunch, corporate meeting, or family event a breeze, we’ve got a variety of menu options to fit all taste buds & budgets. Don’t see what you’re looking for? Talk to a banquet manager today for customizable options & pricing. We recommend pre-ordering a minimum of 3 days prior to ensure availability.